Product designers and manufacturers are responsible for making sure that the products they make and sell are safe for consumers to use. Unfortunately, some product designers and manufacturers fail to make sure that the goods they produce are free from error, and every year unsuspecting consumers suffer serious injures because of defective products. There is no excuse for this type of negligence, and the victims of dangerous products should hold those responsible for their injuries accountable for their actions or inaction. 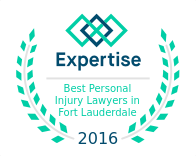 If you or someone you love has been injured by a defective or malfunctioning product, a Fort Lauderdale personal injury lawyer at Winston Law Firm, can help. Contact our offices at (954) 475-9666 for information about our services or to discuss the many ways we can help you fight for your rights today. If you are injured by a dangerous product, you are entitled to recover from the manufacturer, distributor or retailer if you are able to prove liability and damages. 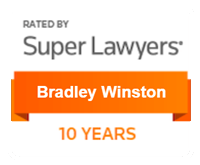 The products liability lawyers at Winston Law Firm , have jointly brought over one hundred products liability cases against automobile manufacturers, motorcycle companies, pharmaceutical conglomerates, and other corporations. Manufacturers can put a great deal of resources into defending products liability cases. In order to prevail, your attorneys need determination, talent, knowledge and experienced product experts. We use our experience and expertise to analyze the case, have it reviewed by our network of leading experts, then file the case and litigate it through trial if needed. Quite often, such cases are settled by manufacturers prior to trial based on the evidence developed by our attorneys over the course of your case. At Winston Law Firm, we pride ourselves on aggressively fighting the makers and distributors of dangerous products. If you or someone you love has suffered because of a defective product, contact our Fort Lauderdale product liability lawyers at (954) 475-9666.